Take pleasure in poolside and in-suite indulgences at this all-suite hotel. The Signature at MGM Grand offers in-suite massages, sweeping balcony views, state-of-the-art technology and luxury bedding. A private heated, outdoor pool complex offers additional frills with luxury cabanas. Enjoy access to the WET REPUBLIC, a 54,500-square-foot ultra pool with a huge sundeck stage and DJ, and Topgolf, a new concept with interactive golf games, a concert stage and more. 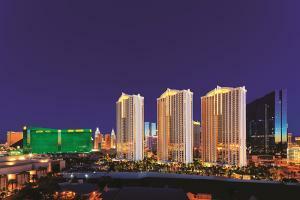 The Signature at MGM Grand Hotel features a nightclub, a spa, a fitness center and shopping.